Capital Paving & Sealcoating sets the standard for high-quality residential asphalt driveway installation. 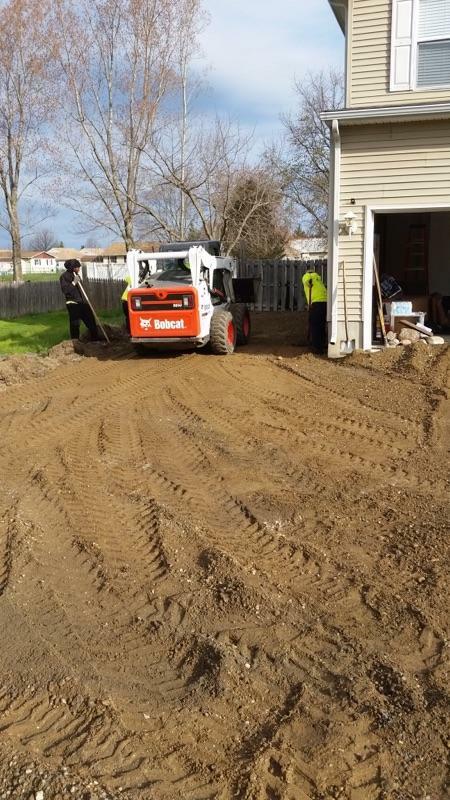 Our team of trained professionals will walk you through step-by-step of your asphalt installation making sure that you are confident and set at ease with the entire process. • Asphalt driveways give you ease of access to your home and property via a smooth surface that reduces noise. • Asphalt drives are very durable and stable and can handle a lot of weight. • Longevity, pavement can last upwards of 20 years if taken care of properly. • The speed of application. • Asphalt paved drives create excellent curb appeal and increase property value. • Better and easier maintenance than other forms of residential paving options. • Paving your drive reduces the dust and debris on your vehicles and in your home. • They are easy to repair. Asphalt is undoubtedly one of the cost-effective coating solutions to pave driveways and roads with. Due to this, it has become the most sought-after coating option for paving roads and driveways. Imagine having a smooth surface to drive on that you know is going to be stable for upwards to 20 years! As soon as an asphalt driveway is installed it immediately changes the outward appearance of your home. Driving on a quality-built driveway essentially becomes your welcome mat to your property and gives your residence curb appeal. Asphalt drives become part of your landscaping and give others the impression that you care about your home and extends an inviting appearance to those who may visit. Even better is the fact that they require little maintenance. If your asphalt driveway becomes unsightly you can easily hose it off, and asphalt does not show stains from chemicals that may come out of your car or truck. Also, when bad weather arrives in the form of ice and snow clearing it is a breeze. Since asphalt is a deep rich black it retains the heat from the sun and melts snow and ice faster as opposed to other alternatives. 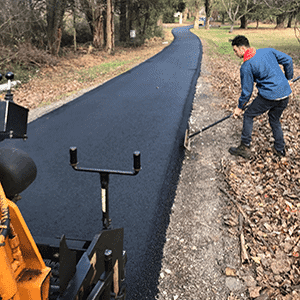 A new residential asphalt driveway installation is also ideal compared to other forms of finishing out your drive because it can be applied quickly. Compared to concrete, asphalt pavement can be applied and dry in half of the time. This results in less interruption for you and your family’s activities. Furthermore, if issues do happen to your asphalt that needs attention they can quickly and easily be repaired. The key to having a quality residential paving job is to hire a professional experienced contractor. Here at Capital Paving & Sealcoating we pride ourselves with being the best in our industry and will work with you one-on-one to both educate you in the process, as well as, advise you on what the best solution is for your project. Unlike asphalt scammers who will arrive at your door stating, “We need to sale this asphalt before it cools so we can cut you a deal!” Our process is different, and we are happy to give you references and allow you to view our previous work on other projects. Capital Paving & Sealcoating will give you a free on-site estimate for your residential asphalt paving installation. • Discuss proper water drainage. • Go over the thickness of the pavement to be applied. • Provide you with a detailed scope of work with our recommendations. • Answer any and all questions and concerns you may have. It does not matter if you are new to the world of paving and sealcoating, we take extra care of our clients to see that your individual needs are met. We also offer a variety of repair and maintenance solutions to help you prolong the life of your investment. Contact us today to set up your free estimate and let us help you in planning your paving project!